Featured Products on homepage in a responsive carousel. New Products on homepage in a responsive carousel. Best Sellers products on homepage in a responsive carousel. Specials Price products on Prestashop homepage in a responsive carousel with a countdown. If you use on your shop Prestashop Countdown Special Price Products Module need to disable for viewing “Special Price products on homepage” because they are not compatible. Viewed Products on homepage and product page in a responsive carousel. New Products on left/right in a vertical carousel. Top sellers on left/right in a carousel. Specials Price products on left/right in a vertical carousel with a countdown. 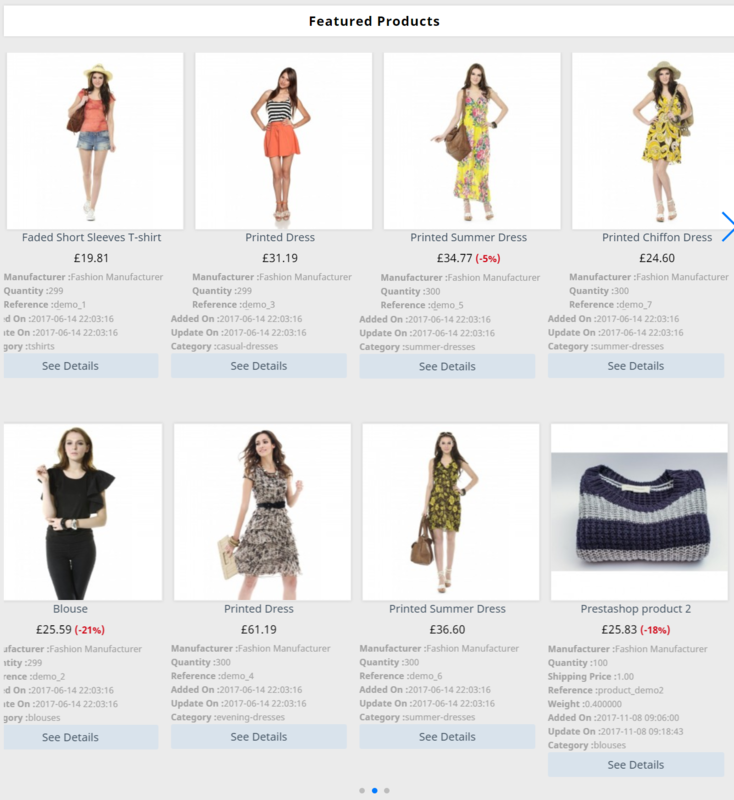 Prestashop Carousel’s Pack have included a color editor to change very easy style of the module . -Added featured products carousel for Prestashop 1.7 . -Added new products carousel for Prestashop 1.7 . -New home New Products carousel. -New home Best Sellers Products carousel. -Each carousel have color editor included. -The module is compatible with Prestashop version 1.5. -Added module admin option 'autoplay carousel' for homepage carousel's. -Added module admin option 'display products random' and option 'number of slides that move on carousel transition' for vertical new products and special price carousel's. 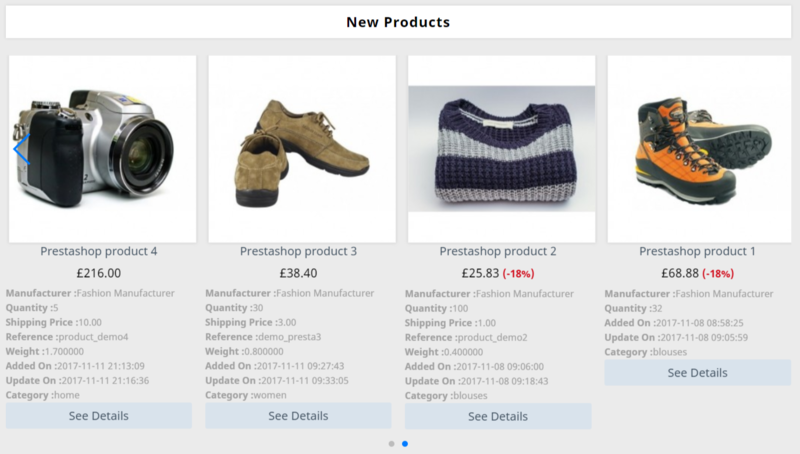 -Added enable/disable automatically transition products for new products and special price vertical carousel. -Select the amount of time (in ms) between each auto transition for new products and special price vertical carousel . -Select number of products that will be displayed on carousel for new products and special price vertical carousel. -Added New Products vertical carousel on left/right column. -Added Specials Price products vertical carousel with countdown on left/right sidebar. -Added text countdown for homepage special price carousel.